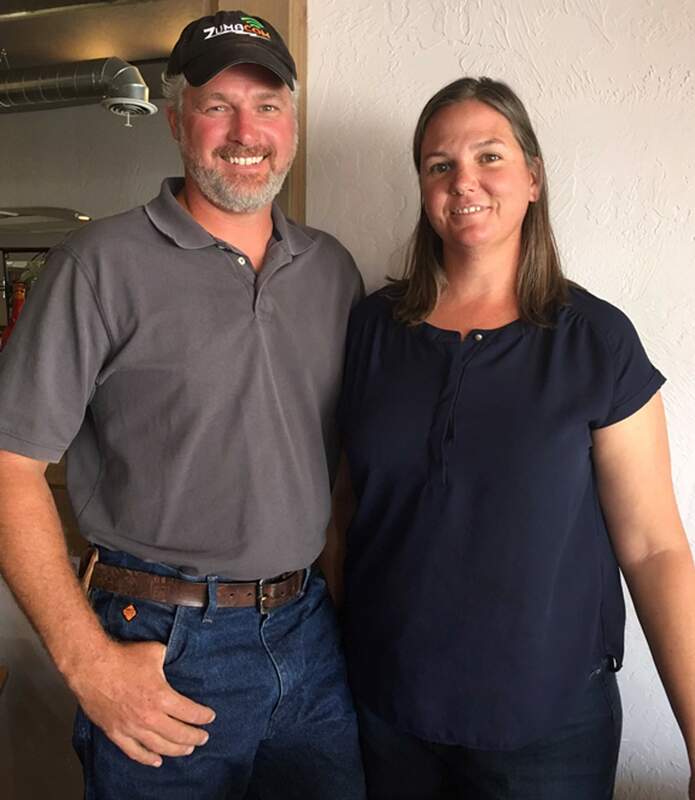 Erich and Erica Hennig, owners of Zumacom, have found a business niche trying to improve limited broadband internet service in Montezuma County. 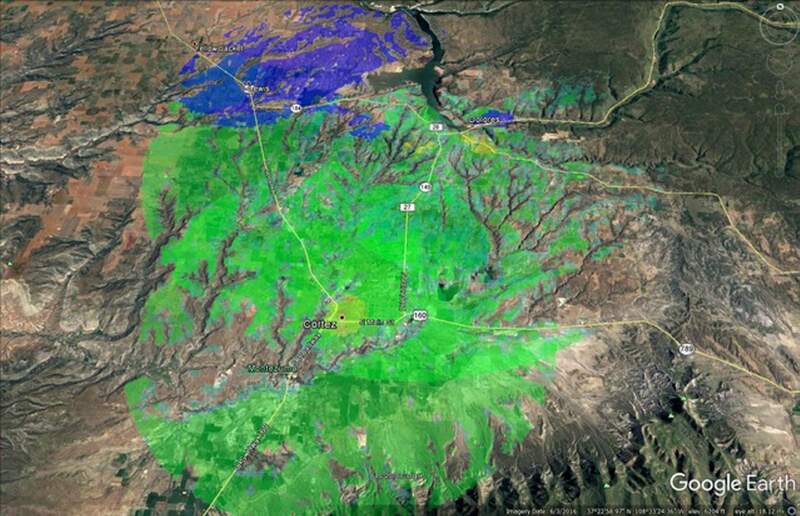 While officials from local governments to business leaders in the private sector search for solutions to Montezuma County’s limited broadband, two Dolores residents are aiming to improve the performance of the county’s sleepy sluggish internet speeds. Erich and Erica Hennig’s company, Zumacom, provided wireless internet to its first customer in February. They’ve slowly expanded their coverage area ever since, using existing fiber-optic lines and cellphone towers to reach customers. The company started offering wireless internet to Dolores residents on Sept. 1, and its owners plan to expand to the Lewis area by mid-October. The couple moved to Dolores from La Plata County about three years ago with the goal of eventually starting their own business. Because Erich Hennig has about 20 years of experience in wireless networking, he said he and Erica decided to use that expertise to fill a need for reliable internet in the county. Erich uses wireless extensions to connect Zumacom’s customers to existing fiber-optic cables and cellphone towers throughout the county. Zumacom can offer up to 25 megabits of data per second this way, he said. But each building that connects to the wireless network has to have a line of sight to a fiber-optic access point, so tall trees and multistory buildings sometimes interrupt the signal. That’s why most of Zumacom’s strongest coverage is in the unincorporated county, where there aren’t as many obstacles, Erica said. The company offers three different internet speeds for different prices: up to 5 megabits per second for about $50 per month, up to 10 Mbps for $70, and up to 25 Mbps for $130. Erica runs the business and marketing side of the company. She said that so far, most people who have signed up for the service have heard about Zumacom through word of mouth or door-to-door advertising. She would like to add many more customers as the company grows its infrastructure and as more people become aware of it. Erich said their ultimate goal is to build enough infrastructure to serve the “majority” of Montezuma County by next year. Once they’ve started serving customers in the Lewis area, they hope to move into the Mancos Valley. Zumacom was also the youngest of six companies that responded to the Connect 4 Broadband Initiative’s request for proposal earlier this year, offering to act as private partners in the group’s plan to bring affordable internet to county residents. The county initially chose to partner with Data Safe Services and FastTrack Communications instead, but a July Connect 4 meeting opened the possibility the group might work with other companies that submitted proposals as well. The Hennigs said they would still be willing to participate in a Connect 4 plan in the future, but they don’t yet know what that would look like. For now, the couple plans to expand Zumacom’s wireless infrastructure, and possibly hire more employees. One of the Hennigs’ biggest challenges has been the amount of time it takes to install a wireless extension, they said. Without any other workers, they can’t establish connections to existing customers and market themselves to new ones at the same time. But they’re optimistic about their chances for growth in the near future. “We’re trying to build a carrier-grade service, one that is really robust and withstands all the things that could disrupt (it),” Erich said.